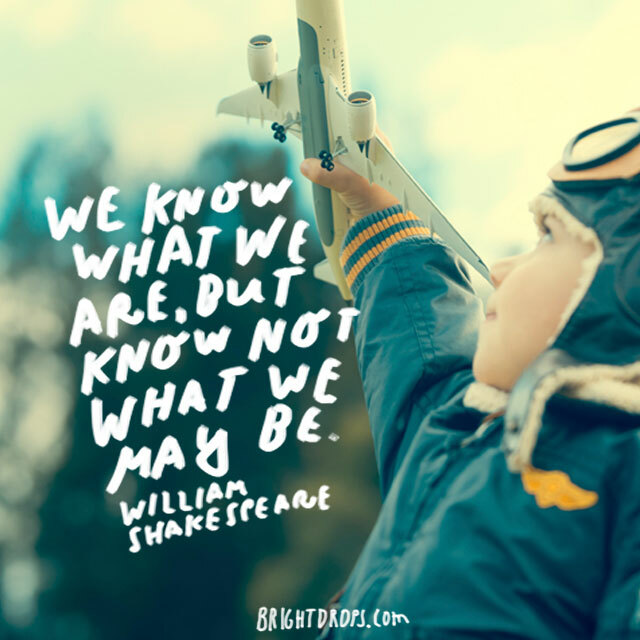 Shakespeare was a visionary man who led a visionary life through his plays. He wrote about the blood, guts, and glory of life, as well as the heart, love and sweet side of it. 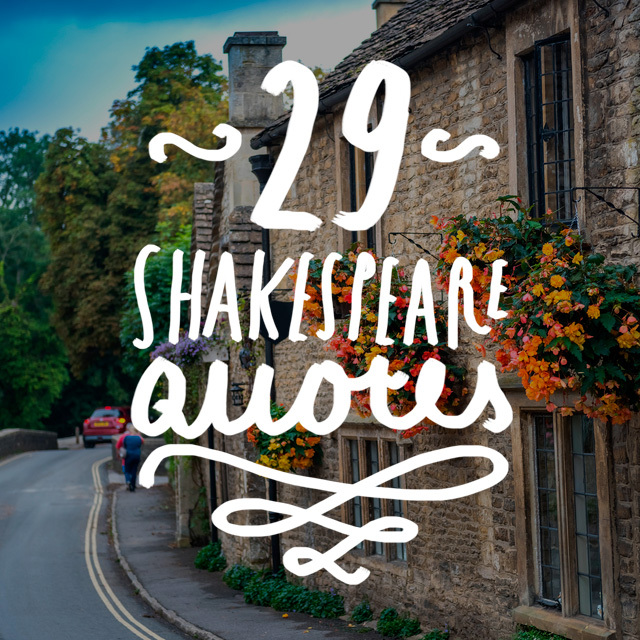 Read through these Shakespeare quotes and find ones that speak loudly to your heart and soul. 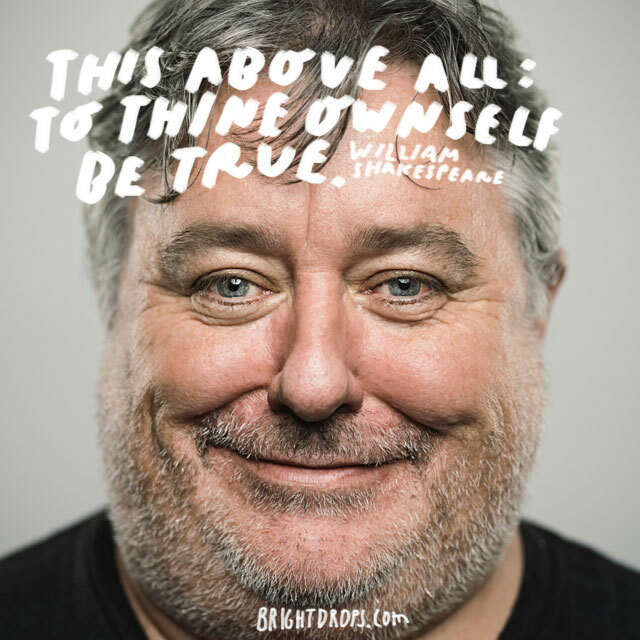 Let the wisdom of Shakespeare influence your day. 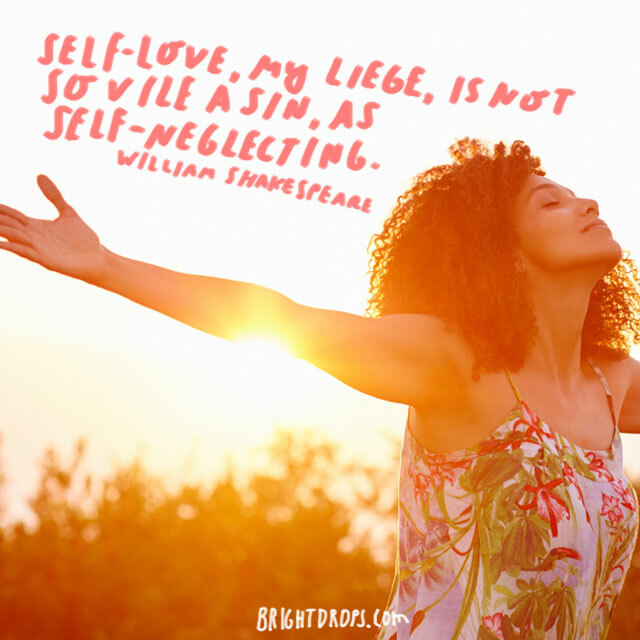 Some may think that loving yourself is selfish and sinful, but is it not more sinful to neglect the beautiful body that you were given? You are with yourself 24 hours out of every day. To take care of, love, and respect yourself is one of the highest honors. Your perspective, beliefs, and opinions make things good and bad to you. One person can think that burping after a meal is rude, but in other cultures around the world, it is a sign of respect to the cook. 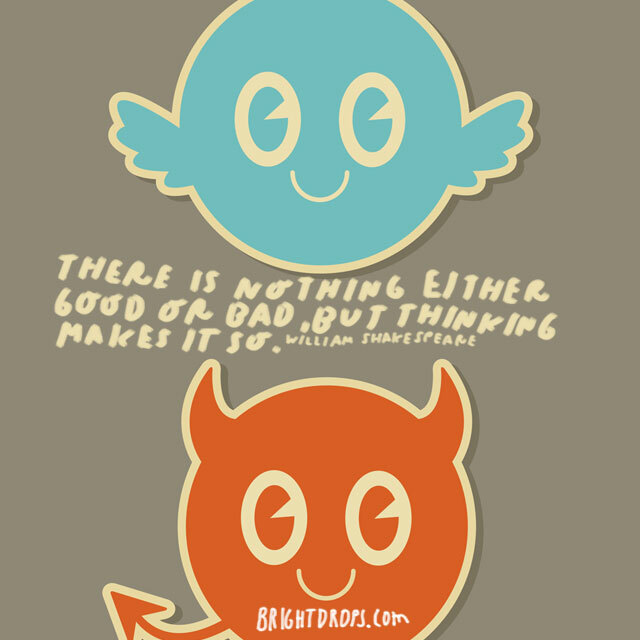 Sometimes what you think is good or bad for you might not actually be. It is not written in stone what you are to experience in your lifetime. The heavens do not dictate your destiny, but rather, you do. It is up to each and every one of us to create the lives we want. 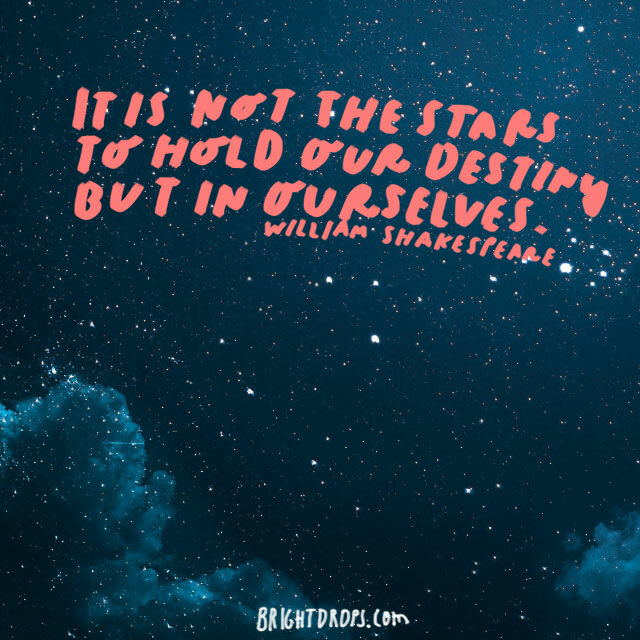 Your destiny is what you make it. This does not apply to just kings and queens, but to anyone who lives with big responsibilities. It can be a lot to handle when you are in charge of other people, a business, or a home. 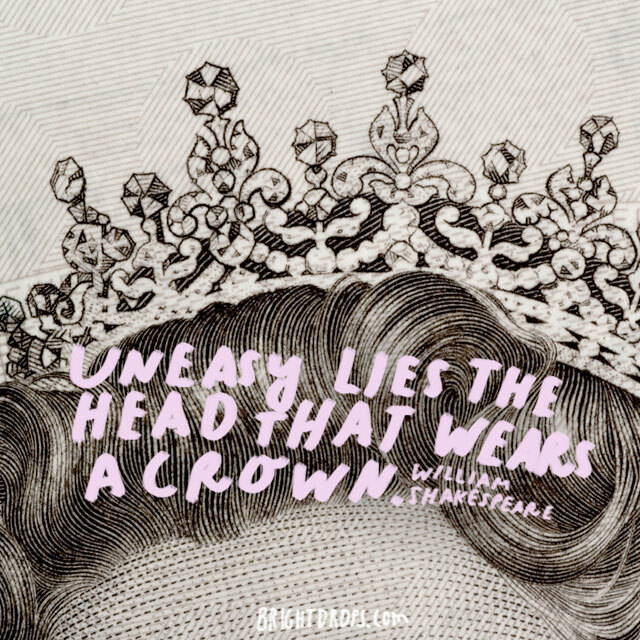 Make sure that you take the time you need to rest and recuperate so you can wear your crown with class. 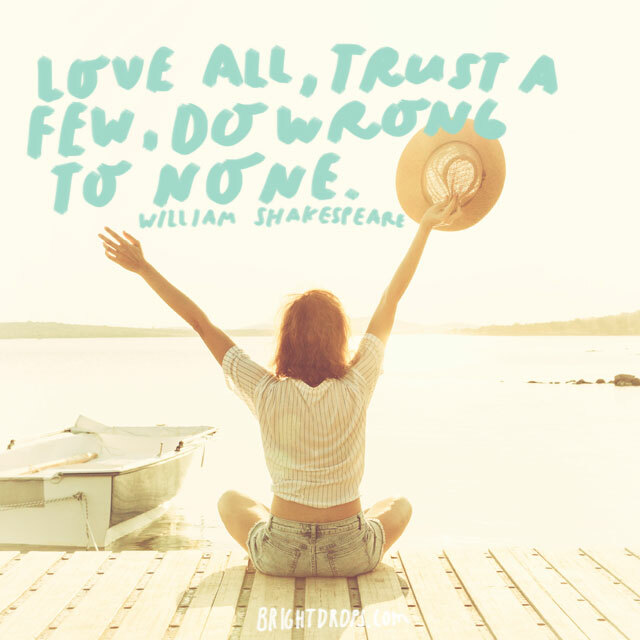 This is some of the best advice from Mr. Shakespeare right here. Share your love with everyone you meet, trust only a few with the deepest and most vulnerable parts of yourself, and make sure to do right by others. Following these three things will help you live a more peaceful life. 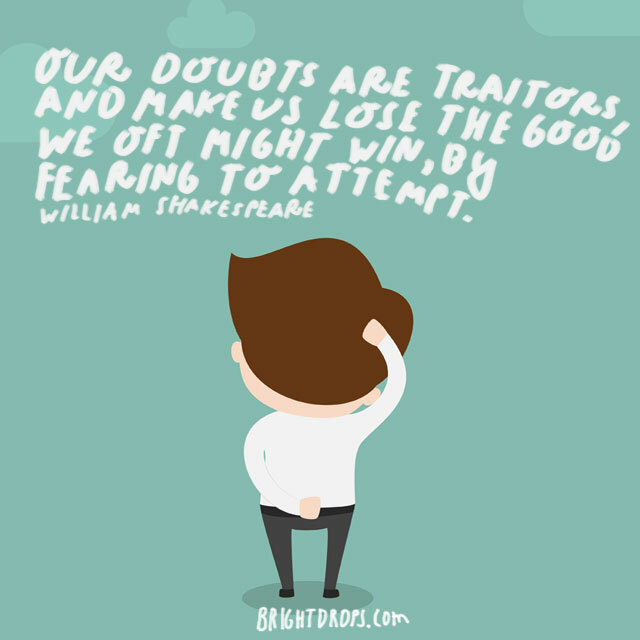 Doubts often come from fear. You might have enough doubt that you will not even attempt to do something, but then you risk missing out on the good that could come from it. Make sure to analyze your doubts so that you know if they are helping you avoid something bad, or keeping you from something good. 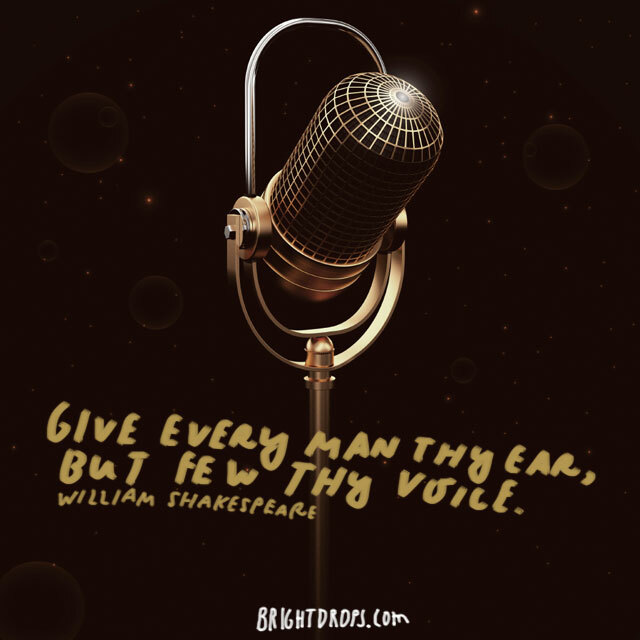 You have two ears so listen twice as much as you speak. 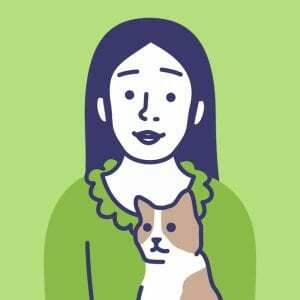 Not only can it help avoid misunderstandings, but it gives you a chance to really get to know someone, keeps you from looking like a food by speaking too soon, and gives you valuable information that you might otherwise miss if you were talking. Aging is a normal part of life, though our society seems fixated on creams, tonics, and surgeries to extend youth. 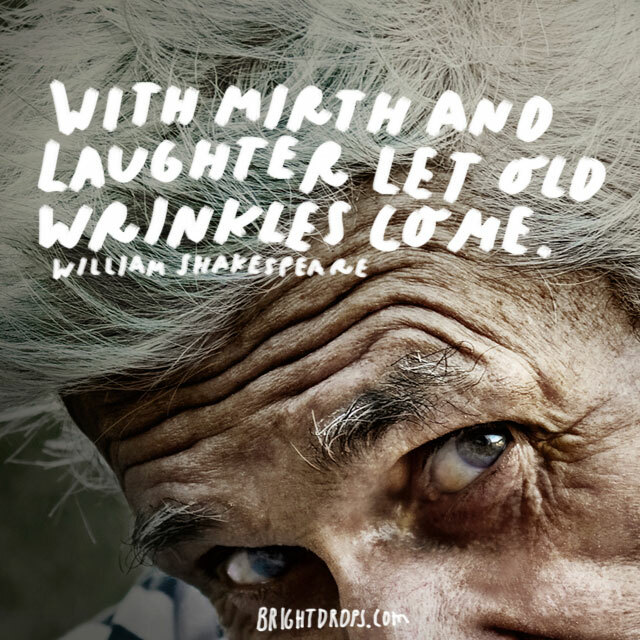 This quote shows the potential of aging gracefully and creating wrinkles from having lived a joyful life. Let them come not from worry, but from glee and giggles! 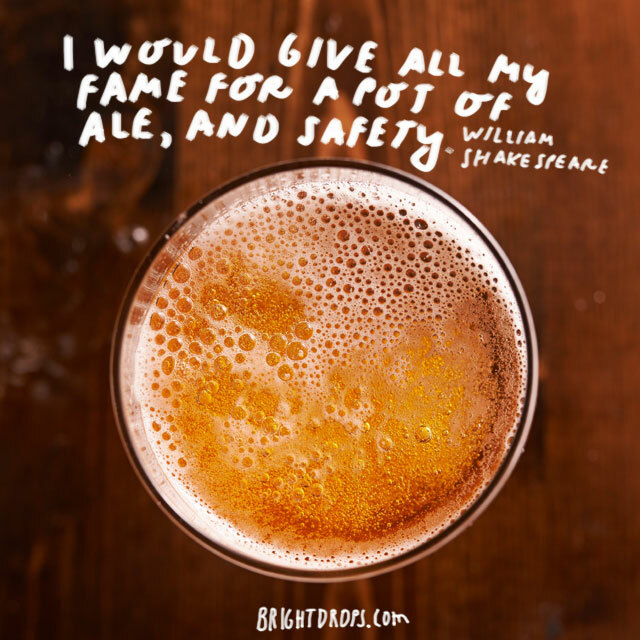 This quote comes from King Henry V who expressed that being famous is nothing without food and drink in the belly accompanied by a sense of personal safety. The very foundation of life is that we have shelter, food, and safety. 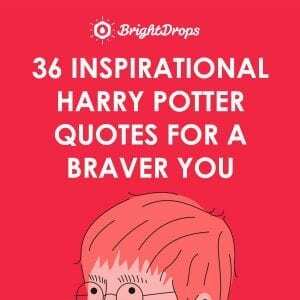 If you have all of those, you are richer than many in the world. Being late means you may miss out on important things in life, as well as sending the message that other people’s time is not important to you. Being three hours early might be a bit much, but being early in general gives you a chance to experience things to the fullest, as well as being more prepared. Have you ever been enjoying yourself to realize that hours have passed by in what seems to have only been a short time? 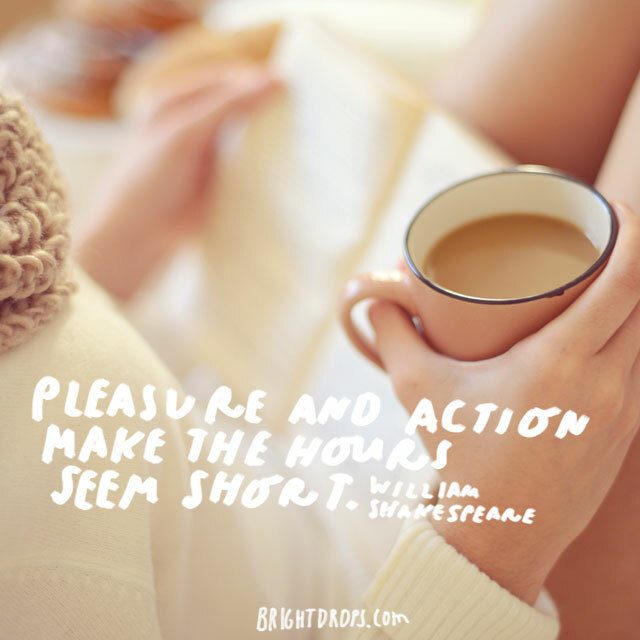 Being busy and engaging in pleasurable activities infuses you with energy that seems to make time stand still. Life has a lot of gray areas. 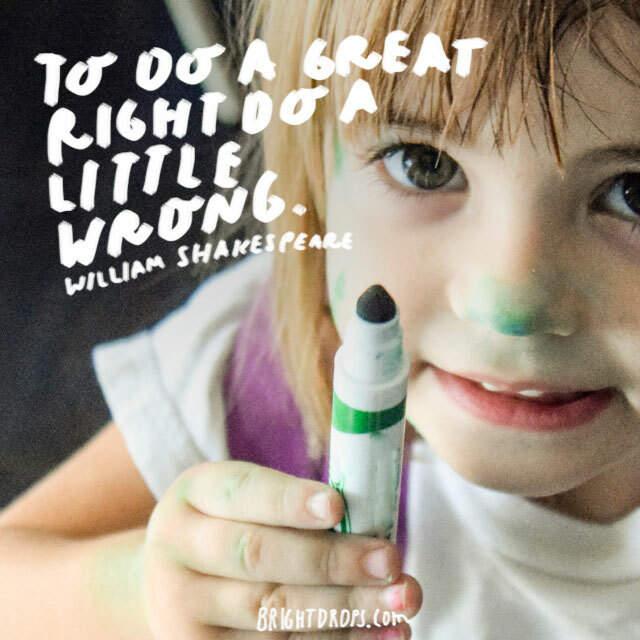 If you need to do something right, be flexible if you need to do something wrong. For instance, leaving an abusive relationship is the right thing to do for yourself, but you might need to lie and be sneaky to get yourself out. This is an extreme example, but you get the point. You might have been born into a family with a huge legacy to carry on, you may experience incredible success in your career, or you may be given responsibilities of greatness out of the blue. No matter where your greatness comes from, it takes mental strength, emotional stability, and an air of acceptance to manage it gracefully. All three of these are composed of imagination. 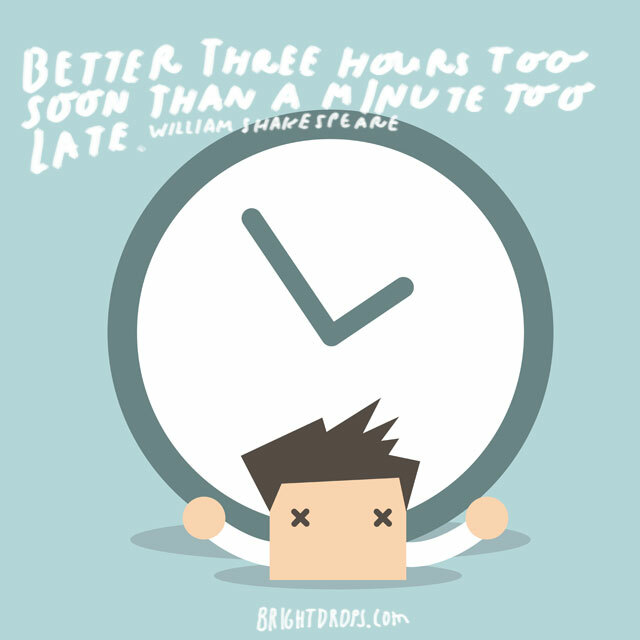 Shakespeare sees all three types of people as having the ability to see things. 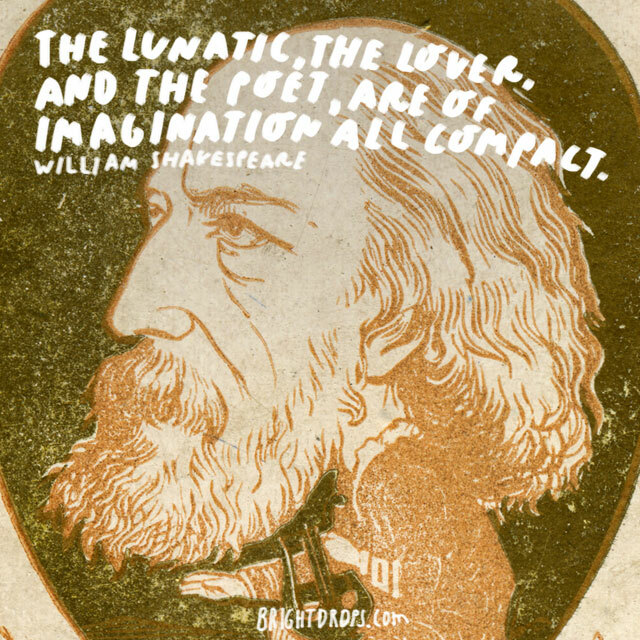 The lunatic, lover, and poet all see things internally that others might not. 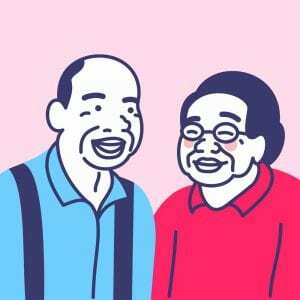 They might ramble on about strange topics. At times it might seem crazy but the imagination is a powerful tool. 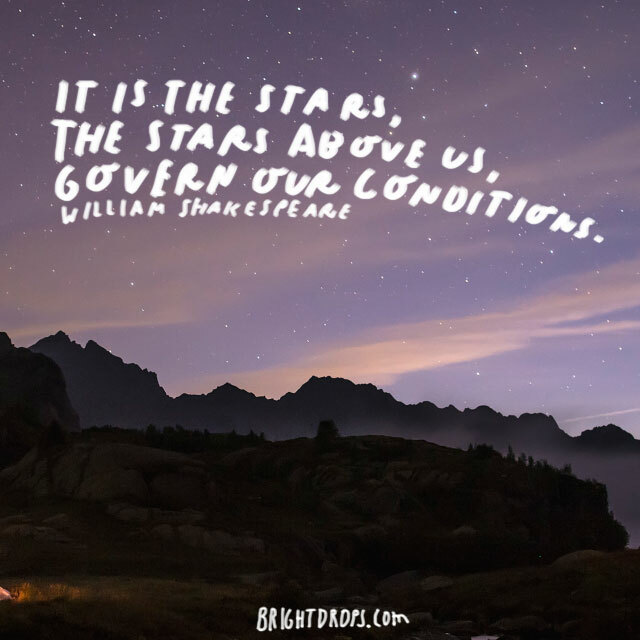 Our good man Shakespeare seems to indicate that he knows just how much the stars and planets affect us here on Earth. Astrology is taken seriously in parts of the world and it is a useful tool to know how the heavens affect our bodies and moods. Ignorance is having a lack of knowledge or information. 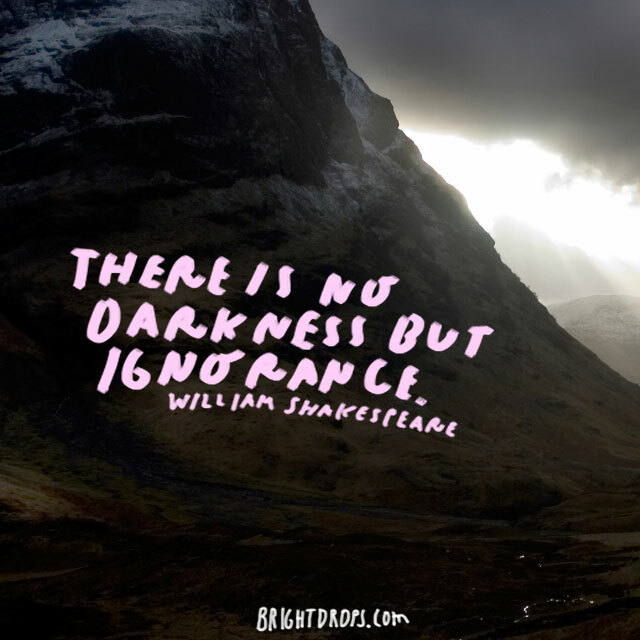 That is akin to being in the darkness when you don’t know all that you need to know. If you are not knowledgeable about something then refrain from debating or speaking up about it until you can form an educated opinion. You are given your own body to inhabit but you might be living and pretending to be someone you are not. How many times do you not live and express your own inner truth? Where do you let the world shut down the person you know you really are? In this moment you know what kind of person you are, but knowing who you will be next week, next month, or next year is a mystery. To get around this mystery requires that you envision what you deeply, truly want to be like and work towards it every day. Have you ever noticed that some of the loudest and most obnoxious people seem to be the unhappiest? Those that have a vessel filled with confidence, love, and self-respect do not need to seek attention or make life a contest. 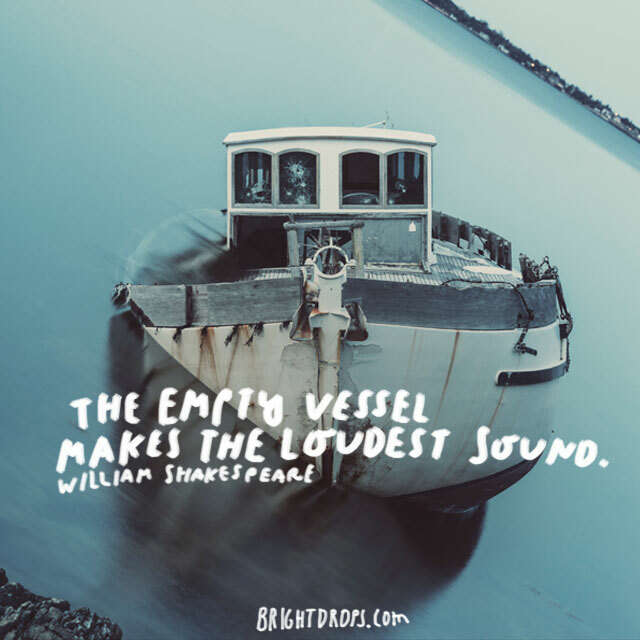 If you find your vessel empty, then make sure to fill it. You might have experienced being in love only to realize later that things were not as they seemed. This is why it is good to be cautious and slow while in love. 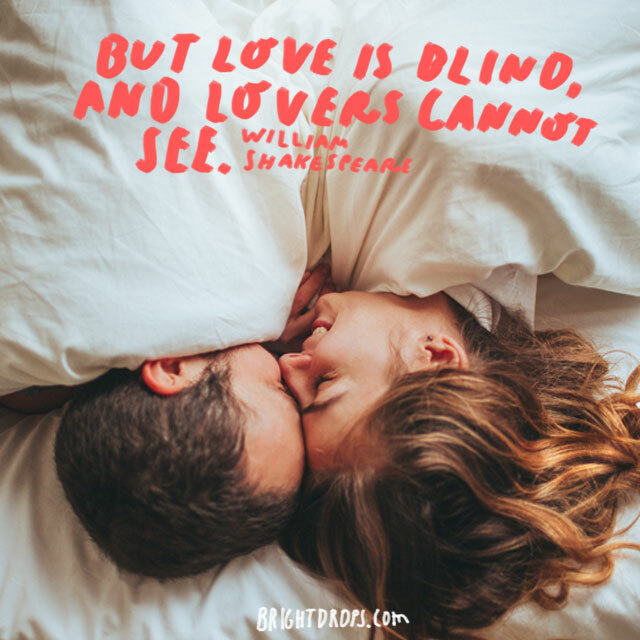 Love keeps us from noticing the idiosyncrasies our lovers have, their faults, or their shortcomings. This is probably one of the most important quotes to live by. Being true to oneself does not mean being selfish and taking other people for granted, but that you care for and love yourself. Above all, it is the relationship you have with yourself that will influence every area of your life. Parents do a lot for their children, and would die for them. 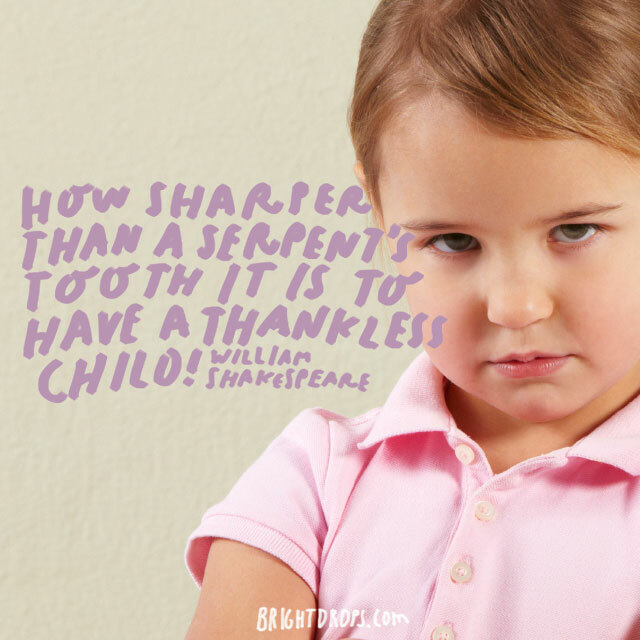 To have a child that is thankless is truly painful like the bite of snake. Raise your children to be grateful for the things they have and the people in their lives. A grateful child will turn into a compassionate adult. 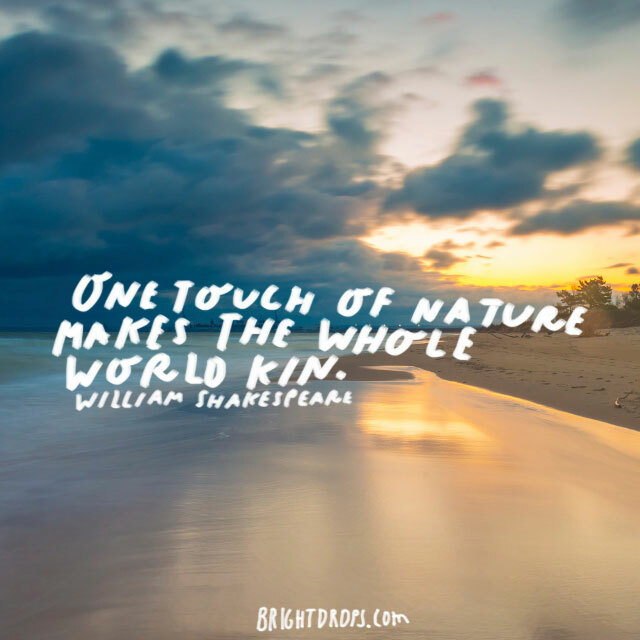 “One touch of nature,” said from Ulysses to Achilles in the play Troilus and Cressida, actually meant how mankind forgets past glories. Taken in modern interpretation by itself however, this quote could easily mean that once men are awakened, they feel closer in relationship to each other. When it rains it pours. 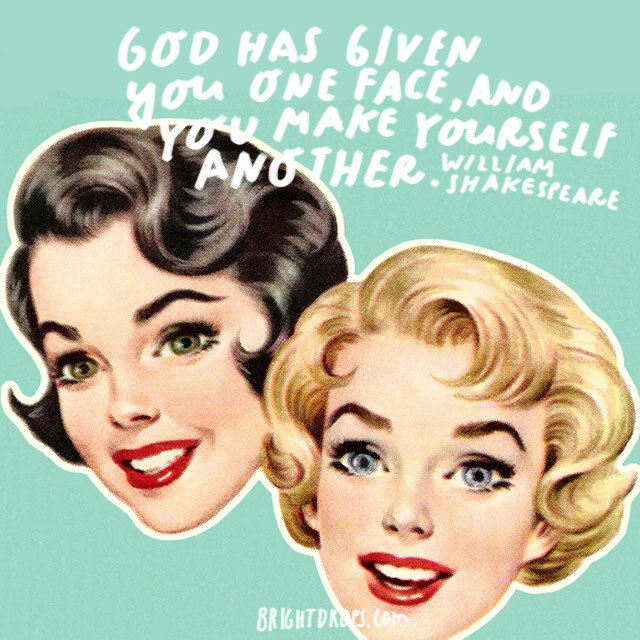 Obviously Shakespeare knew that. Sometimes your life delivers several blows at once with little room to breathe between them. Instead of one problem you get an entire host of challenges. Worry not, this too shall pass. 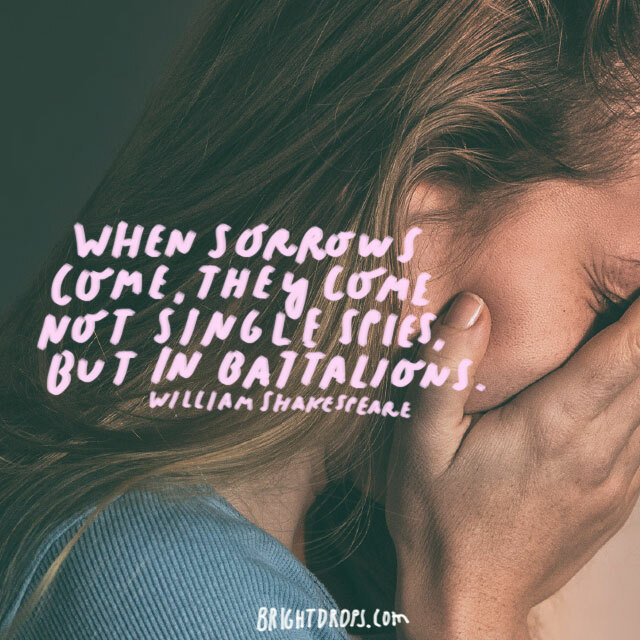 Stay strong and you’ll make it out of any sorrows. 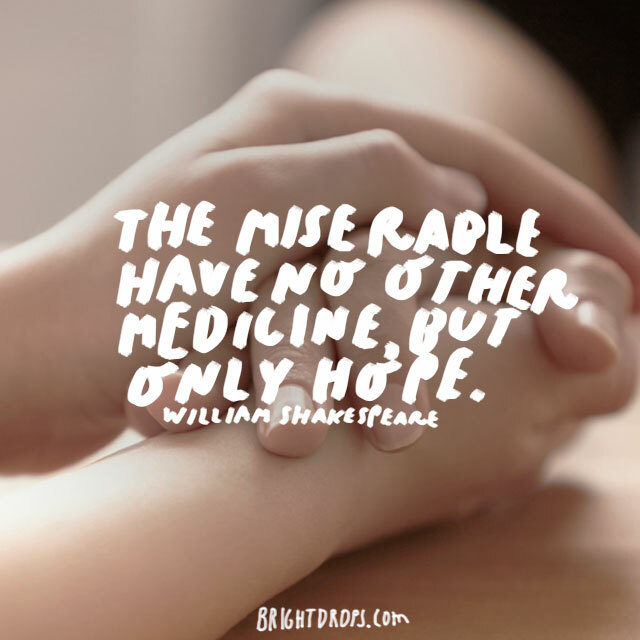 When you are stuck in misery the best medicine is to keep hold of some kind of hope. 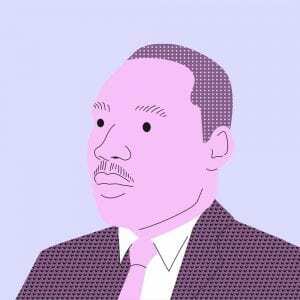 The idea that things can and will get better is a balm to the weary soul. Sometimes just the hope of something different is the only thing that keeps you moving forward one step at a time. 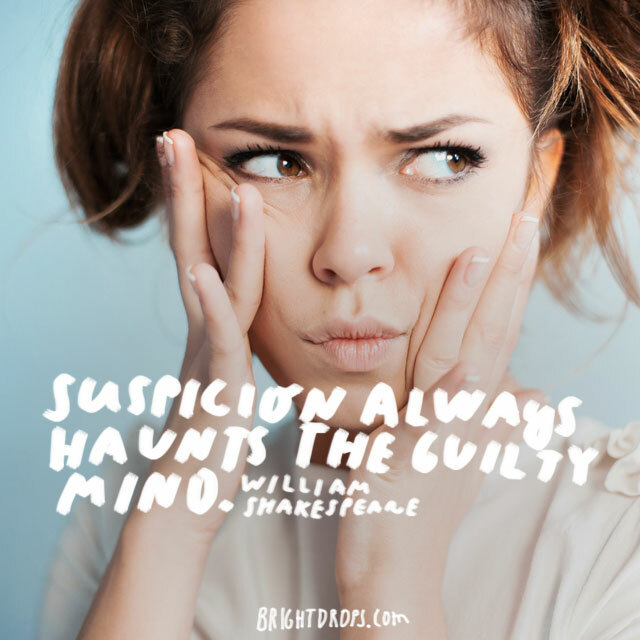 Those that are guilty of wrong doing often project their suspicions onto others. Maybe this is because they assume other people operate at a distrustful level like themselves, or maybe it is to try and avoid others being suspicious of them. Be wary if you know someone who is overly suspicious. Those that rob you of things, be they material items, love or kindness, expect chaos to consume you; they expect you to be upset and they don’t often care. 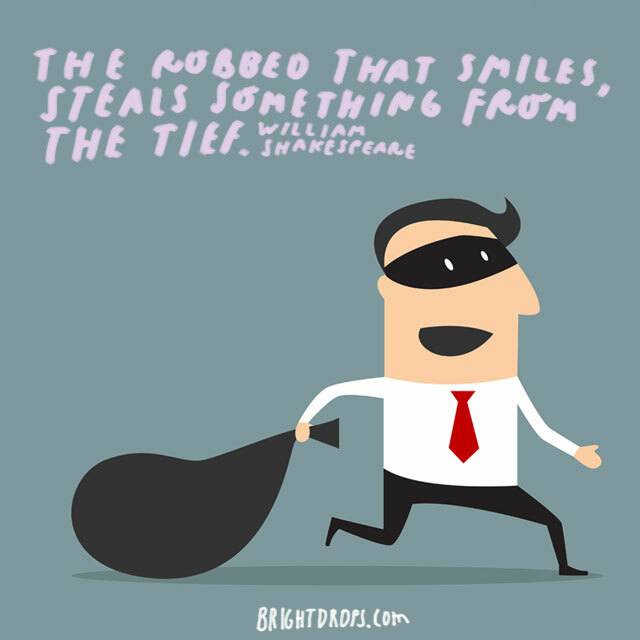 Though if you are robbed of anything, smile and go about your life as normally as you can. This way you are not letting the thief steal your happiness as well. 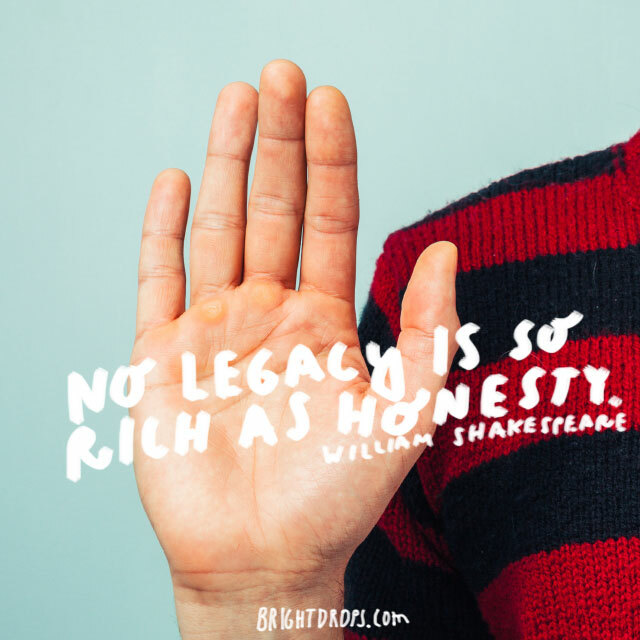 The best legacy to leave your children and your family is one of living an honest life. This means being truthful with your feelings and being truthful with your facts. Living transparently and honestly is one of the most rewarding things you can teach others by example. 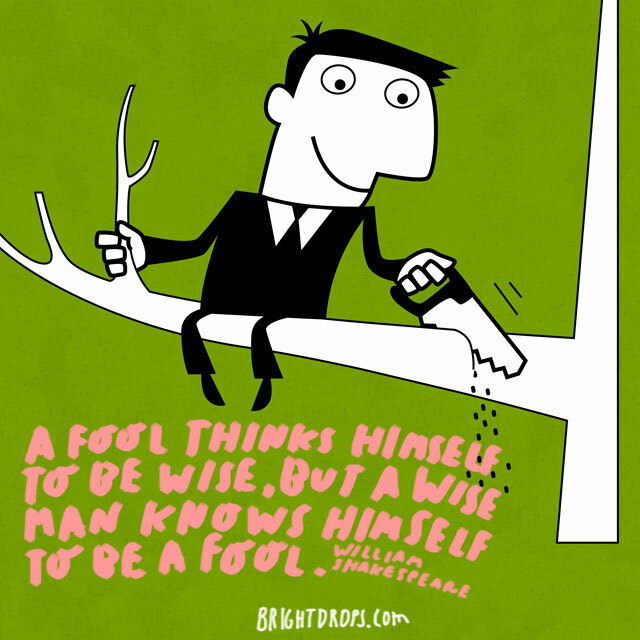 Foolish people think they know everything, but those who know a lot know that they could always learn more. This quote may help put into perspective that humility is a good trait to have no matter how successful or smart you might be.